A mesmerising SF thriller from a master of the genre. Hap Thompson is a REMtemp, working the night hours, having people's anxiety dreams for them. For the first time in his life, Hap's making big money - and that should have been enough... Hap Thompson has finally found something he can do better than anyone else. And it's legal. Almost. Hap's a REMtemp, working the night hours, having people's anxiety dreams for them. For the first time in his life, Hap's making big money - and that should have been enough. But then Hap is made an offer he just can't refuse: proxying memories instead of dreams. This is not almost illegal - this is illegal in bold with flashing lights. The last thing the cops want are criminals who can pass lie detector tests and Hap knows it, but he's relying on the promise that he won't have to carry anything that relates to a criminal offence. Big mistake. 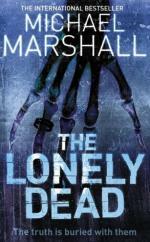 Before he knows what's happening, Hap is locked in a vicious nightmare that threatens to tear his mind and his life apart... And, as in all Michael Marshall Smith novels, that is just the start. Michael Marshall Smith was born and raised - itinerantly - in the USA and the UK: his parents are academics. He has had two radio comedy series and a pilot TV series, and is currently working on screenplays for two feature films and the BBC adaptation of Clive Barker's Weaveworld. Only Forward was his first novel, Spares his second. He is distressingly young.